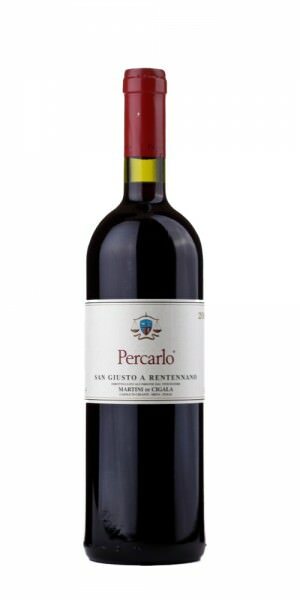 Produktinformationen "San Giusto A Rentennano Percarlo 2006 Italien Toskana Rotwein"
San Giusto A Rentennano Percarlo 2006 Italien Toskana Rotwein. 100% Sangiovese - Ein Kraftpaket von einem Sangiovese ... extraktreich, super spät gelesen, vollreife verschwenderische Frucht. Menthol, reife dunkle Früchte, gut integriertes Holz, elegante Tannine und eine atemberaubende Klarheit ...Voraussichtliche Trinkreife: 2015 bis 2030. The 2006 Percarlo is one of the all-time legendary wines from San Giusto. Everything is in the right place. Firm yet wonderfully refined tannins support an intense core of fruit. The 2006 possesses dazzling richness and intensity, all supported by its considerable structural heft. Layers of black cherries, licorice and spices wrap around the muscular, potent finish. This is an absolutely breathtaking showing from the 2006, in my view the greatest Percarlo and easily one of the finest wines of this historic Tuscan harvest. Anticipated maturity: 2016-2031. Weiterführende Links zu "San Giusto A Rentennano Percarlo 2006 Italien Toskana Rotwein"
Kundenbewertungen für "San Giusto A Rentennano Percarlo 2006 Italien Toskana Rotwein"